Discover the vitality of artworks in exhibitions of contemporary art, featuring some of the best artists working in Ontario today, many with national and international reputations. The Gallery’s collection contains paintings by the Group of Seven, and others, which are important to Canadian art history and are considered national treasures. Exhibitions from the permanent collection open a window on the past and help preserve our heritage. 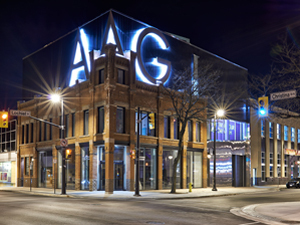 The Gallery offers a wide range of changing exhibits, tours for adults and school groups, educational services, artist talks, films, public lectures, art workshops and bus tours. Admission is free, although donations are welcome!